My plan this weekend was to sketch in the Mohammed Sultan district off River Valley Road. After wandering around to get my bearings, I stumbled across a relatively new development called 'The Wharf' on Tong Watt Road, which includes two blocks of thirteen renovated shophouses and four new tower blocks. The shophouses, which were clearly old, had been beautifully restored. It was only afterwards when rummaging on the internet that I realised how much work had been involved in restoring the dilapidated buildings. One website (click here), which featured numerous photographs showing the houses in 2007, showed how most of the original features had been retained. Most impressive. 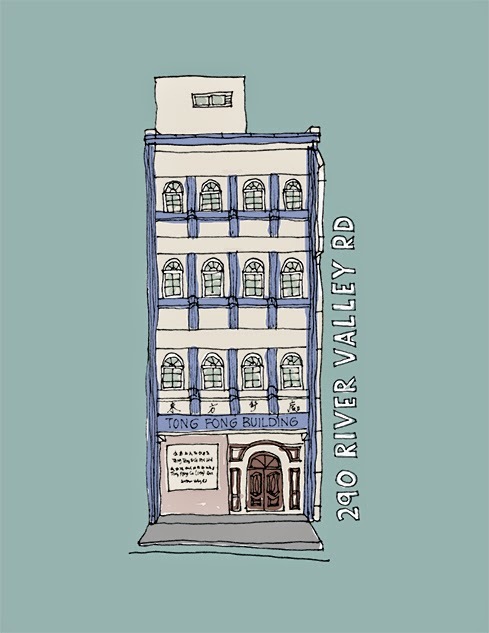 Apart from the turquoise fluted pillars, the second sketch of the day of a narrow building on River Valley Road had almost no decoration. 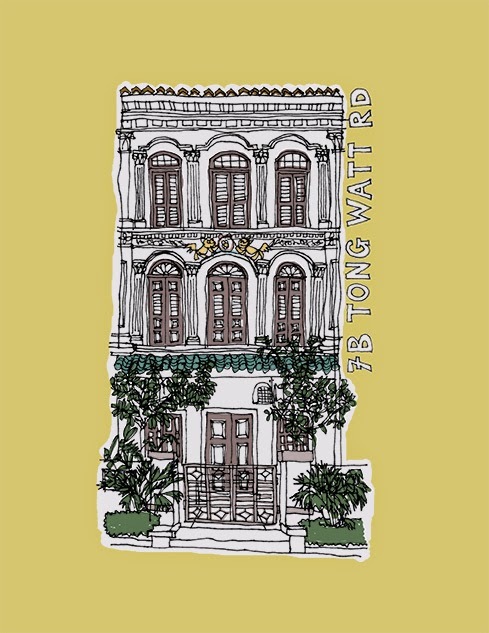 The adjacent shophouses (visible on Google Steet View) have in contrast to the careful restoration on Tong Watt Road, been pulled down to make way for a new development. Not so impressive.